Having banners on your site will work at times, but some tactics that we have seen work well have to deal with diving a little bit deeper into ShareASale’s offerings. Creating custom links to pages to show your readers or users the value of the service is one of the most powerful tools our affiliates have used to help them convert better. Here is a quick and easy guide to building out these links. 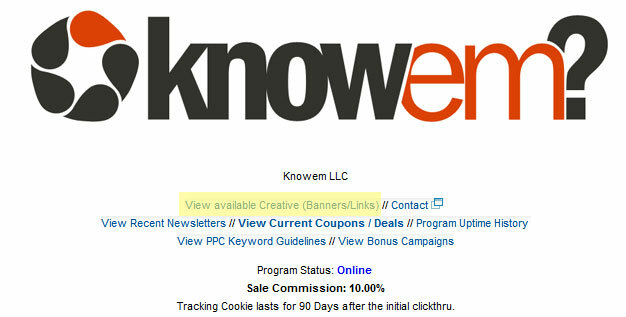 Creating a public profile on KnowEm is free and it can be used as a powerful sales tool. You can easily show people how to set it up and start claiming which social media profiles belong to them. If you have not done this already we have a great video showing how easy it is to setup. Feel free to embed that Youtube video on your site if you feel it would help your user base out. The final option is to create a “License Plate” link this is also known as a shortened URL – these are great if you do not want to show a long, strange looking URL when someone mouses over any of your affiliate links. So a custom link to your profile page will be a great way to show your readers how to claim their stake on what social media sites are theirs, but it will also show them just how much work it is to claim 300+ social media sites, which of course explains the value of our service. This is where the upsell will occur — if they do not have the time to fill out all of these profiles, then we are here to do it for them. All you have to do to create this custom link is go to the home page of our site and simply do a name search. Take the URL in your browser bar and put it into the custom domain box and anyone that clicks the link will be able to check out what your social status is. 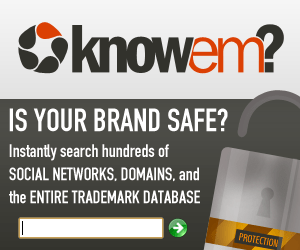 This will encourage your visitor to search their own name and see the availability, once again encouraging them to protect their brand across hundreds of social media networks. So there are a few ideas and some good ways that we have seen affiliates become successful with our program. As always if you have any questions never hesitate to contact our support team. Our affiliate program is one great solution to reselling our products and services, but if you are an agency and require a centralized dashboard to control all of your clients’ accounts from one location, then you should inquire about our Enterprise Dashboard. This solution can also be private/white labeled so that you can provide your own branded dashboard for your clients. This way each client can login with their own account to see what social media sites they have been registered on, run checks of trademarks and also be alerted anytime their brand is mentioned on social media networks, blogs, forums, news outlets and much, much more. If you haven’t already contacted us please do and we’d be happy to setup a demonstration for you!